If you’re interested in enrolling in our wood or brass instrument classes please contact us by phone or via our contact form. Metropolitan College of Music offers tuition for beginners, intermediate and advanced level students seeking to develop their skills with wood or brass instruments. These lessons cover a wide range of playing styles and can be tailored to meet the student’s specific aims and skillset. If required, we can also help students prepare for upcoming examinations or provide grading preparation. Our students benefit from our years of experience and our dedication to providing a lesson structure built around encouraging steady development of music skills. Whether you are preparaing for an examination or simply want to learn for fun, we can help you develop your skills in your chosen instrument. Contact us to learn more. 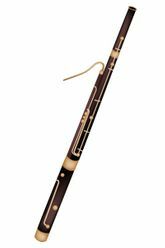 The flute is an enjoyable and versatile instrument used in a variety of genres from classical to jazz. With our tuition you can learn to master the flute and play in your chosen style. Flute lessons are available for people of all skill sets from beginners to advanced practitioners and we are also able to assist with flute grading and examinations. 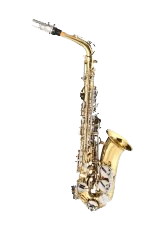 The saxophone is a complex but incredibly rewarding instrument to play, due to its difficulty we often recommend our students get to grips with playing a recorder before moving onto a saxophone – we are able to help with the tuition of both instruments (we do not require you learn recorder first, you can jump straight into saxophone lessons if you wish). The clarinet is easier to master than some of the other woodwind instrument; however, this does not mean it is an easy instrument to learn. At Metropolitan College of Music, we can help you learn to comfortably play the clarinet or if you are already competent we can assist in further developing your skills.